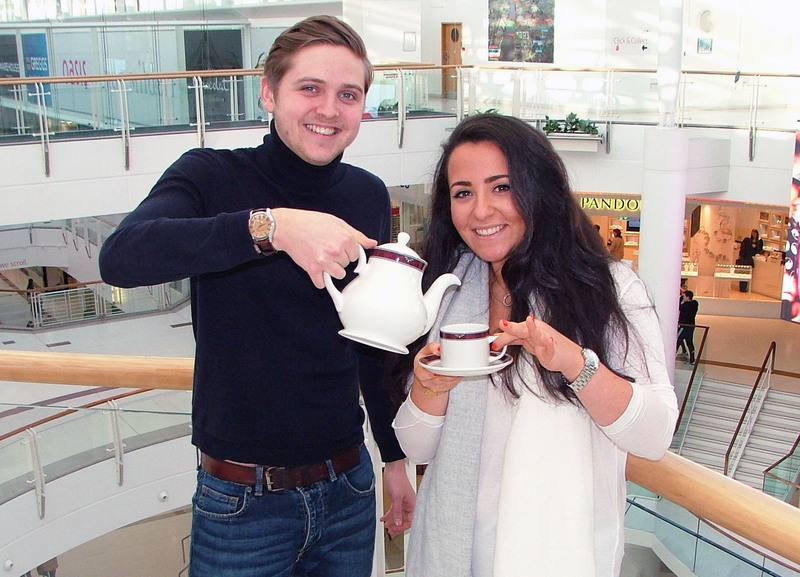 BOSSES at the Soar at intu Braehead leisure destination have come up with the perfect an-tea-dote to the most dismal day of the year. They’ve turned Blue Monday, January 18 into Brew Monday by teaming up with Frankie and Benny’s restaurant to give away free cups of tea and coffee to visitors. The third Monday in January is notoriously the unhappiest day of the year because the bright lights of Christmas have faded, people are back at work or school, the credit card bills are starting to pop through the letter box, and New Year resolutions are becoming hard to keep. But the free cuppas from the Frankie and Benny’s restaurant in Soar at intu Braehead aims to beat the Blue Monday blues. The free brew is available between 11.30am and 5pm on Monday and all you have to do is download the new intu app for both Apple and Android devices from www.intu.co.uk/app to claim your cup of tea or coffee. Marketing manager for intu Braehead, Christine Macdonald said: “January may not be everybody’s cup of tea, but along with friends at Frankie and Benny’s, we aim to give everyone a free cup of good cheer on Blue Monday.